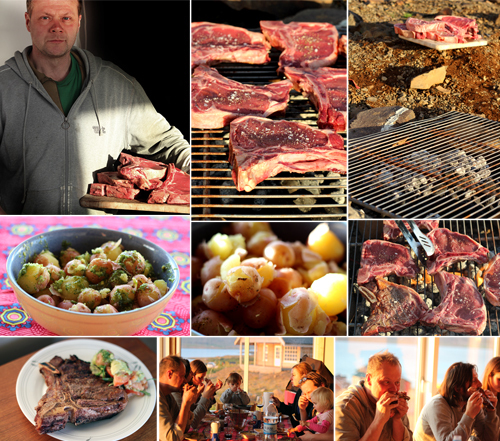 My friends the beef farmers came over loaded with steaks, huge steaks. We didn´t have a BBQ so they brought a rack and we made a BBQ in no time. It is on the agenda to make a nice grill out of bricks and I am also going to make a pizza oven, that is going to be aaaawesome! I went to the garden to dig up some potatoes to serve with the meat. I made a really good potato salad.I also had bunch of spicy rocket salad in my garden as well so I made some really really tasty rocket pesto. 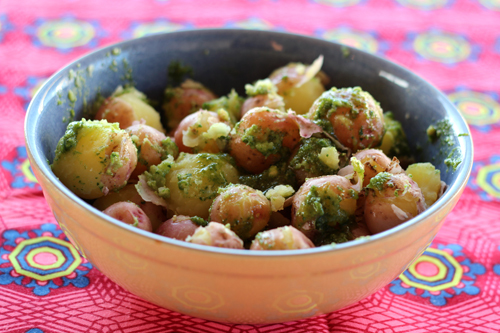 Put everything but the potatoes in the mixer or blender, make a pesto. 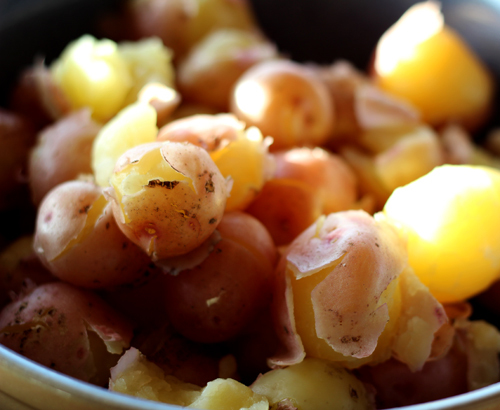 Mix it with the boiled potatoes in a bowl. Serve! 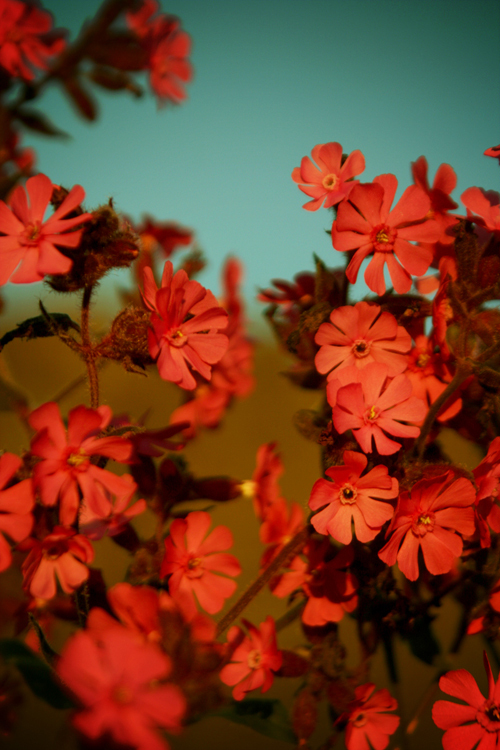 I took this photo of wonderful wild flowers that are in my garden. The sun lit them up so beautifully one summer evening. Nature is pretty.